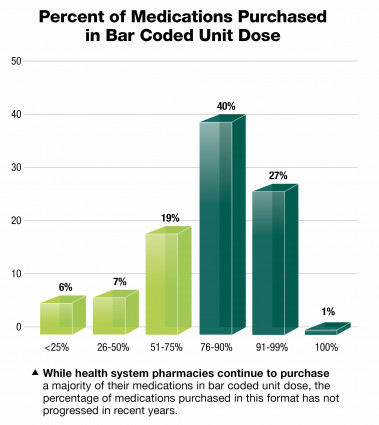 The inconsistent availability of manufacturer-supplied bar coded unit dose medications, combined with frequent medication shortages, reinforces the importance of effective packaging operations within health-system pharmacy. Fortunately, a variety of approaches to managing repackaging operations are available from a long list of well-rated vendors. For more information, visit pppmag.com/automation and click on Unit Dose Packaging Systems.